Strengthen customer relationships with interactions tailored to their needs, based on contextual guidance and a consolidated view of customer activities. Visualise the customer’s organisation and get clarity on the relationships among contacts using interactive org charts. Get greater visibility into your sales performance with informative dashboards and reports. 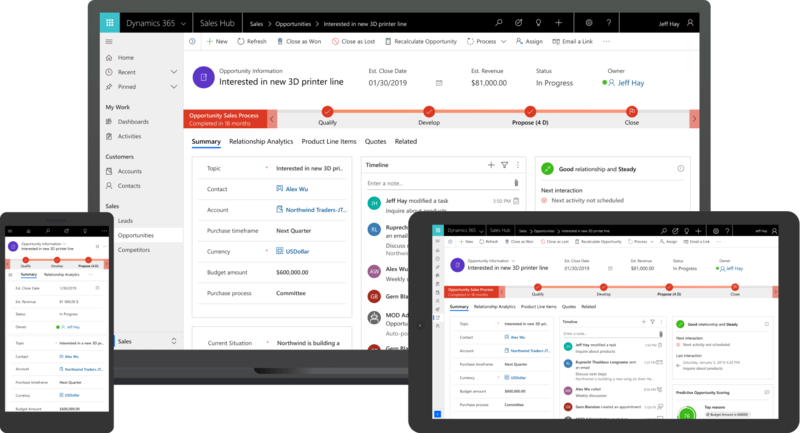 Use prebuilt solutions from Microsoft and our partners to extend the capabilities of Dynamics 365 for Sales Professionals when you have unique business process or industry needs.